This is plated with an anti-corrosive finish, Commercial Grade and Quality. 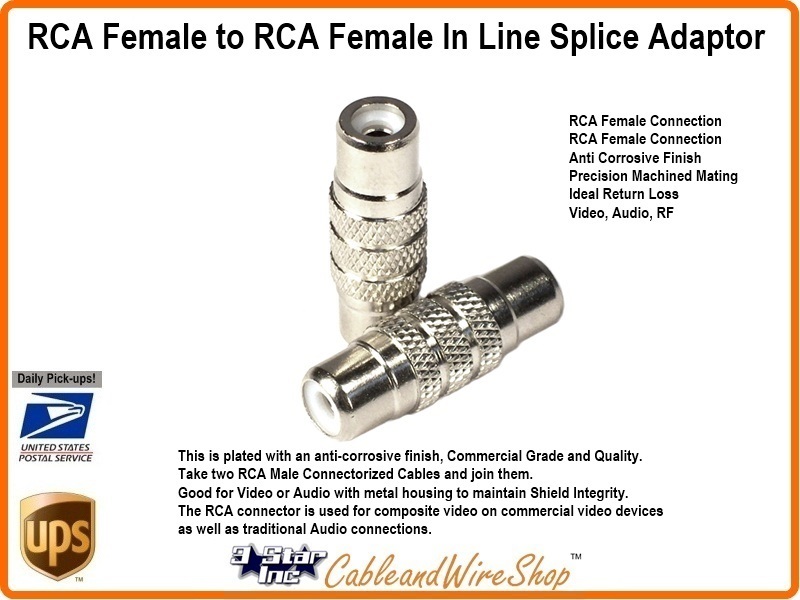 Take two RCA Male Connectorized Cables and join them. Good for Video or Audio with metal housing to maintain Shield Integrity. The RCA connector is used for composite video on commercial video devices as well as the traditional Audio connections most are used to seeing, although many consumer electronics devices with RCA jacks can be used with BNC-only commercial video equipment via a simple adapter. Note: Technicians will use this adaptor to lengthen cables to connect to A/V Equipment or Test Equipment Leads.